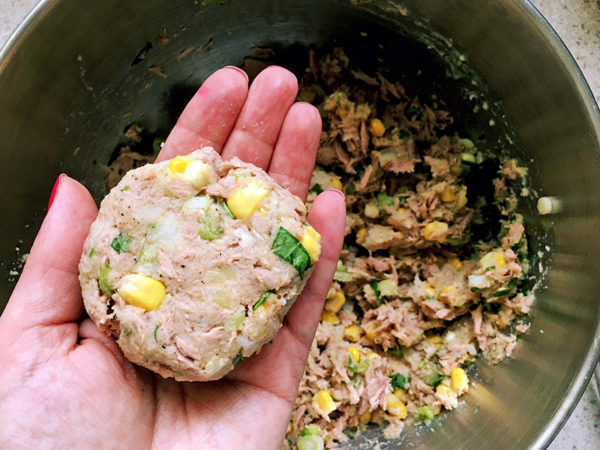 In the past, tuna patties have often been known to be on the bland side — but not so with this tuna patty recipe. 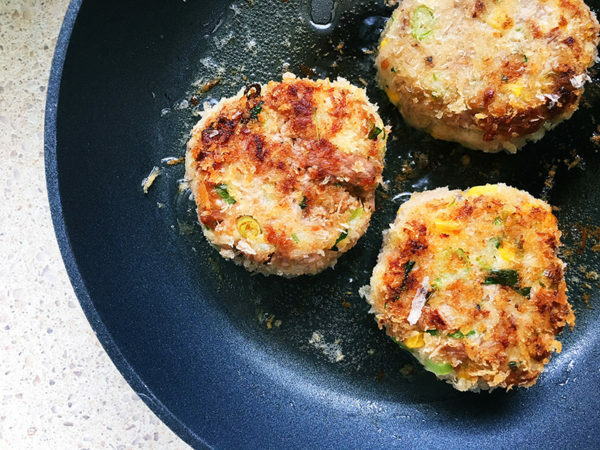 Packed with delicious flavour, these tuna patties make the perfect fish dinner! 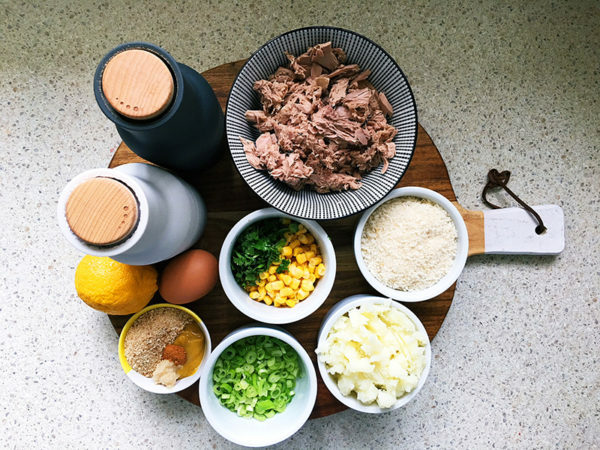 This is an easy recipe using mostly pantry items, and even some of last night’s left over mashed potato. It’s a dinner that comes together easily and quickly. 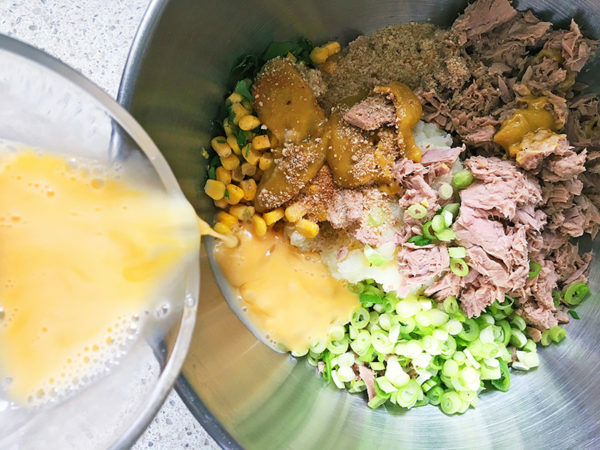 In a large bowl, combine the mashed potato, tuna, spring onions, corn, breadcrumbs, garlic, chopped coriander, cayenne pepper and egg. Mix together until well combined and season with salt and pepper. Form eight balls from the mixture and press them slightly flat. 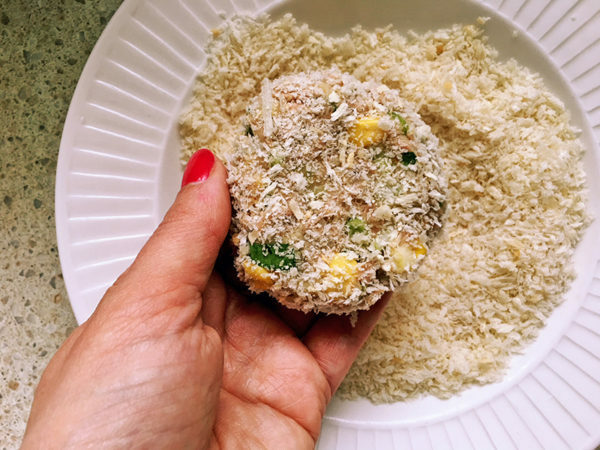 Gently press them into a bowl of panko crumbs so they’re crumbed either side. Heat a glug of oil in a frying pan over a medium heat. Shallow fry until golden, squeeze a lemon quarter or two over the top while coking. Let sit on paper towel before serving. Serve with extra lemon and a dollop of mayonnaise. Delicious!